And Jeremy Corbyn isn’t having it. Donald Trump is an international ignoramus. He knows so little about what is happening in so many places that when he pulls out his cellphone to tweet an observation about developments beyond the borders of the United States, the expectation is that he will get something wrong. But there are some issues on which he is so scorchingly ignorant that his outbursts invite a shaming rebuke from a more informed global leader. That happened Monday morning, when Trump decided to offer a crash course in comparative health-care systems. They cherish it so ardently that, when it is threatened in any way, they protest. That’s what happened Saturday, when a huge crowd marched through London to call for an increase in NHS funding. “Bearing placards with slogans including ‘more staff, more beds, more funds’ and ‘Saving lives costs money, Saving money costs lives,’ they chanted ‘Keep your hands off our NHS’ as they set off from Warren Street at lunchtime,” reported The Guardian. Trump apparently saw a report, recognized the word “crisis,” reached his wrongheaded conclusion, and started tweeting. 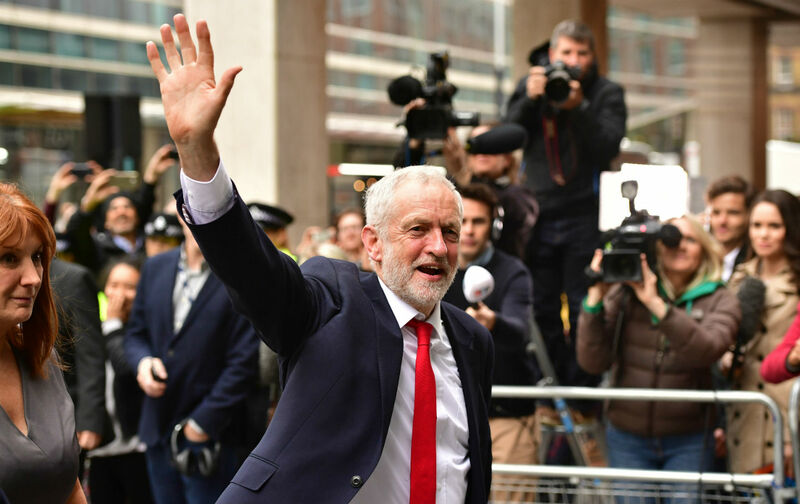 Point to Corbyn, to the pro-NHS marchers in London, and to the global movement that says national health-care systems that are organized to serve rather than profit are essential because health care must always be understood as a right for the many, not a privilege for the few.